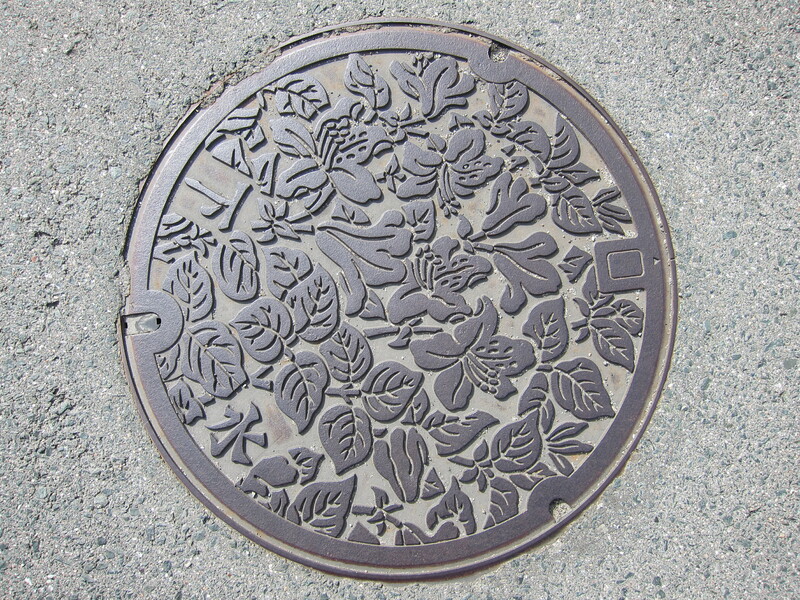 This entry was posted in Ancient arts, Japan, Manhole covers and tagged Flowers, Ikebana, Impressions of daily life, In the streets, Japanese culture, manhole covers, Takayama, The seasons, Toyota City, typical flower by Haruko-chan. Bookmark the permalink. I love all the symbols they made for each city. So cool-looking. I also have been surprised how often flora, and nature in general, is brought up in conversation. It’s nice. I wish we did that more at home. I agree! It makes you treasure things like the seasons and details like a bird singing or a flower in bloom. Leave it to the Japanese to pay attention to such detail. One of the many things I love about Japanese culture! Thanks for stopping by and commenting. I saw on your blog that you really like Japan as well ^_^ Good luck with making more Japanese friends and studying Japanese! 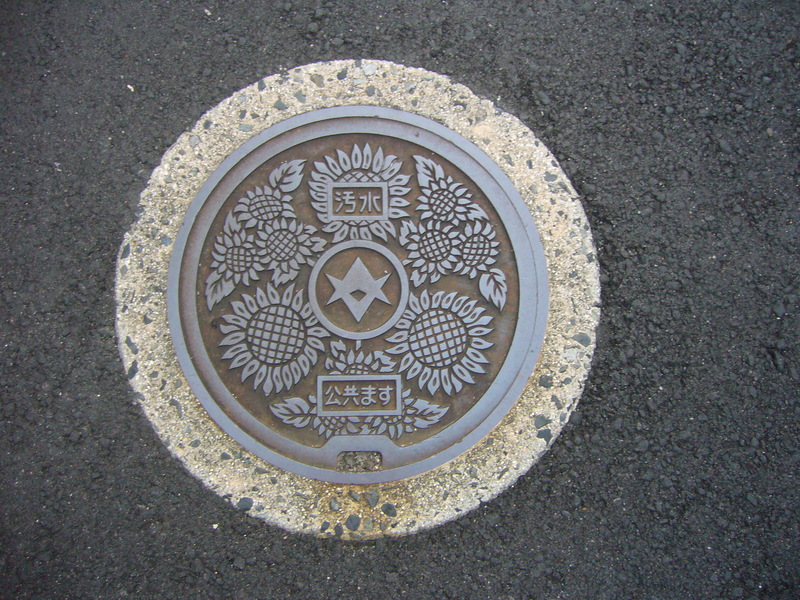 When I was in Japan I took photos of the manhole covers, too! They really are lovely works of art lying there under your feet, and completely different in every area you visit.